Argee Plastics is a strong player in manufacturing and supplying quality based plastic injection moulding products. A company that has consistently achieved outstanding customer satisfaction has done so, due to its innovative ways to manage products, processes and people, coupled with precision and aesthetics, thus perfectly understanding market dynamics and surpassing customer demands. 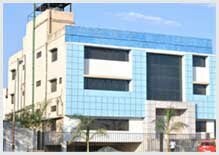 Established in 1985, Argee Plastics Pvt. Ltd has emerged a market leader in manufacturing of plastic products for automotive industry. An ISO 9001:2008 certified company; it employs approximately 40 employees and has effectively scaled up with its Injection Molded and Plastic Injection Molded Products (consumer and industrial). An ISO 9001 - 2008 Certified sister concern, Paras Enterprises caters to non automotive industry and was set up in 1995. An excellent location, Baramati falls in 'D-Zone' area, and has an added infrastructural advantage, prime facilities and octroi free functioning. Specifically we cater to automotive, as well as to adhesives, dairy, construction, and other industries like domestic appliances, leisure, agriculture, telecom and paints. Providing an end to end service from assembly and finishing to printing and packaging is what it is committed to offer. To become a one-of-its-kind group of companies that caters to various industries across demographics and geographies. To emerge as the most preferred employer among the industry by providing excellent work environment and other key incentives to employees. To be the most preferred and a competitive Group of companies in the Plastics industry, providing and exporting the most superior quality products at an optimum cost. At Argee, maintaining the best quality is a motto that is in-built into our systems, processes and people. Everything we do is in complete accordance to these stringent standards. Quality is intrinsic and is practised at every step. The Company emphasizes on total quality management and customer orientation. Having attained ISO 9001 - 2000 certification, it keeps itself upbeat on market trends. It has been upgrading its technical expertise according to the ever evolving market requirements, thus improving its product and process efficiency. has attained less than 0.2 % rejection or loss in some extremely costly materials like Polycarbonate and PBT Alloys. It is a recipient of numerous Certificates of Excellence M/s Exide Batteries Ltd (its largest customer), which has bestowed on it Rank "A" with a 99.9 % rating, which is given across a spectrum of Quality parameters such as delivery of material, delivery commitment, communication. Argee’s manufacturing processes are driven by innovation because they have reduced waste, cut lead times and have successfully ensured highest possible quality for each of the product-line. Customer comes first: To meet the market and customer requirements by manufacturing and supplying plastic injection moulded components that lead to total customer satisfaction. Prevention is better than breakdown: We believe in taking quality back to the machine, following the philosophy of defect prevention rather than defect detection. Efficient Logistics and delivery mechanism: To ensure on-time delivery of the quality product by having an efficient delivery mechanism in place. Environment sense: To protect and maintain a cleaner and healthier environment through sensible manufacturing practices. Total Quality Management by Excellent Team Work: We strive to achieve our Quality parameters by continual improvement in our processes, services and overall quality management systems by demonstrating excellent team work. Quality Training: Everybody at Argee is responsible for Quality and all the operators are involved in each and every quality processes through their formal training from time to time. Right attitude matters: It has always been the management’s belief that good quality starts with the right attitude. And this is accurately practised here. Continued investment in technology, willingness to specialize in automation, printing, assembly and testing, all this is possible only because of a state-of-the-art Plant. Having an upbeat manufacturing unit, the company is well equipped with a wide range of ancillary machinery ranging from 50 tons to 400 tons. Total Industrial Land area available for devolvement - 115000 Sq. Ft. Covered Area – 35,000 Sq. Ft.
6 impressions). We can always consider special operations to be conducted and are confident of delivering products as required.